We are here to support your needs. If your questions are related to workouts, meets, events, goal setting, and other swimming related needs, please contact one of the coaches. For all questions related to administration, such as dues, safety, or policy issues, please contact the Board of Directors. 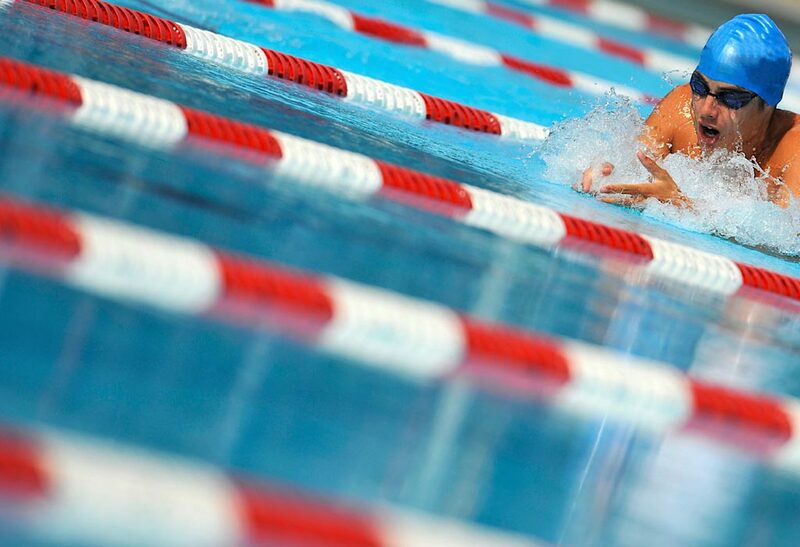 Morgan has a long background in the swimming world both as a competitive swimmer and coach. Her own personal swimming career began in New Brunswick where she grew into a Senior National level swimmer. From there she became an Atlantic National training center team member and competed in finals at both the 2001 and 2005 Canada Games and the 2003 Canadian World and Pan Pacific Trials. Morgan also holds several NB and NS provincial records.Her coaching career also began out East. She first started coaching in high school and followed the passion throughout University working with the Fredericton Aquanaut Swim Club. Before moving to Muskoka Morgan had been coaching with The Dartmouth Crusaders Swim Club. She worked with the team for 5 years. Through her years in the coaching realm Morgan has created and facilitated several successful programs. One of her first projects was developing a Para- swimming program. The Para-swimming world is a quickly emerging aspect to Canadian swimming and Morgan is thankful to be a part of that. She also helped developed a fully functioning introduction program and an after school learn to swim program. Morgan is a certified NCCP Level 2 Coach and is currently working to finish her Level 3. Some additional work Morgan has done is volunteering as a Special Olympics coach and volunteering as a swimming instructor for children with physical disabilities. She has coached swimmers to the Ontario Provincials, Canadian Age Group National and Eastern National levels. Brian has a long history in competitive swimming dating back more than 30 years when he first became a member of the Scarborough Swim Club. Brian swam competitively at the club level for 14 years and enjoyed traveling all over Canada, the United States, the Caribbean as well as the United Kingdom to compete and attend training camps. As a Senior National swimmer Brian also enjoyed coaching the Club’s Olympic Way program during the summer months. From 1993 to 1998 Brian was a member of the Brock Badgers University Swim Team and became team captain in the last year of his 19 year swimming career. Brian is excited to now watch and assist in the growth of MUSAC and is proud to see his own children become members of this fantastic swim program. Greg has been involved with swimming for most of his life, having swam with Musac for 8 years and then 5 years in university at both Queens and Dalhousie. Retired in 1995 Greg took 10 years completely away from swimming and the pool. Returning simply to help out for a few weeks Greg got hooked on the sport again. Over the past 7 years he has coached at various levels including minnows, white, red, senior and masters. It is still questionable whether Greg enjoys coaching more from in the water or out, but it’s certain he enjoys helping, teaching and encouraging the kids! Kevin works for Challenges Unlimited as the Sales and Marketing Director. He is also a trainer and inspector for the company. Before joining Challenges Unlimited in 2012 Kevin directed the staff and programs at the King Day Camp @ Seneca College for 16 years. There he maintained many instructor level certifications in paddle sports, mountain biking, nordic and telemark skiing and challenge course operations in an effort to provide kids with the best instructional experience possible. During his High school years Kevin was a competitive swimmer for Appleby College. Kevin will be going into his 5th season with the club and works with our Minnows and Novice One groups. He is NLS certified and is working towards his NCCP level 1 in the fall. Kyoka is a former MUSAC swimmer. During her time with MUSAC Kyoka swam competitively for 7 years, competing at a Provincial and National level. She had several events where she ranked top 5 in Canada for her age group. Kyoka feels that swimming is a great sport to be a part of. She appreciates the sport's competitive nature which teaches athletes to give their all individually while in a team environment. It is because of this, that after leaving the competitive stream Kyoka came back to coach. 2018 will be her 3rd year coaching for the club and she is currently NCCP Level 1 in Training. She loves not only getting to see all of the athletes improve as swimmers over the year but also grow as individuals. Andy has been coaching and teaching sport since the age of 19 when he joined the British Royal Air Force as a Physical Training Instructor (PTI), that's a long time ago! The job of a PTI involved running around a lot and shouting at people, also playing, coaching, officiating and organizing many many different sports. Next came a time coaching Kayaking with British Canoeing and then on to doing a Degree in Sports Coaching. He then continued on to gain a Post Graduate degree in Physical Education Teaching and then on to work as a PE teacher. He moved to Canada 10 years ago with his wife Steph, both his children, Daniel and Emily, now swim with MUSAC. Andy is the head coach of Muskoka Kayak School and has coached with the U23/Junior Canadian Canoe Kayak team at World Championship level. He holds NCCP coaching qualifications in Kayaking, Gymnastics, Trampoline, Athletics and will be attending the NCCP Swimming course in September. Andy also has his NLS lifeguard qualification. Andy loves trying to get the best out his athletes, he has coached National and International level kayakers including one Olympic Silver medalist. His favorite aspects of Sports Coaching are biomechanics, hydrodynamics and sports psychology. However, perhaps Andy's greatest claim to fame is that he once saved Queen Elizabeth II's life, but that is another story, dare to ask?